KUSA – A couple hours after Rich Scangarello was named the Broncos’ new offensive coordinator, word came he was bringing in his own tight ends coach. It turned out to be Wade Harman, who has coached NFL tight ends for 19 years, including the 2015 Atlanta Falcons whose offensive staff included Kyle Shanahan, Matt and Mike LaFleur, Mike McDaniel and a quality control coach named Rich Scangarello. Matt LaFleur is now head coach of the Green Bay Packers, Kyle Shanahan is head coach of the San Francisco 49ers, and Mike LaFleur, McDaniel and Scangarello were part of Shanahan’s staff until Scangarello branched off to Denver. Harman, 55, has coached the tight end likes of Shannon Sharpe, Todd Heap, Dennis Pitta and Ed Dickson in Baltimore and Austin Hooper in Atlanta. Harman also won two Super Bowl rings while coaching for the Ravens. The Broncos also turned to a couple of their former players to help fill out their coaching staff. The team hired Renaldo Hill to serve as their defensive backs coach. Hill was a Broncos’ starting safety alongside Brian Dawkins during the Josh McDaniels’ era from 2009-10. Hill will work alongisde Ed Donatell, the Broncos' new defensive coordinator who will run the secondary. Vic Fangio will double as the Broncos' new head coach who will also serve as the defensive coordinator. Hill coached last season for the Miami Dolphins under head coach Adam Gase. So did Chris Kuper, another former Broncos’ starter turned coach. The Broncos will interview Kuper for their assistant offensive line coach early next week. 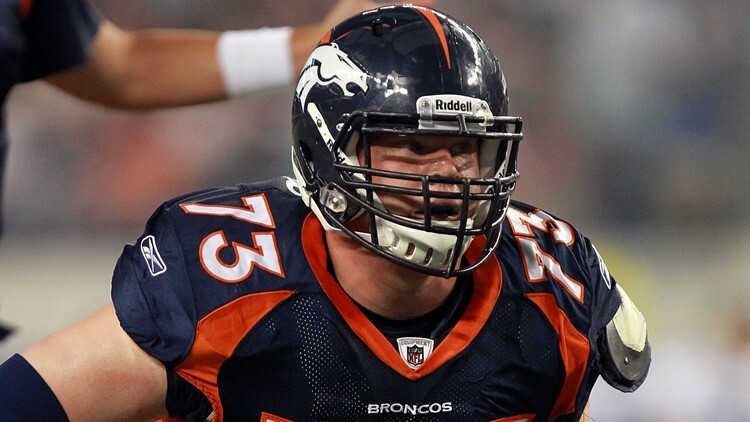 Kuper was part of the Broncos’ terrific 2006 draft class that also included Jay Cutler, Elvis Dumervil, receiver Brandon Marshall and Tony Scheffler. Kuper, 36, was a starting guard five full seasons until a dislocated ankle shortened his career. He has spent the past three seasons working his way up the coaching chain.